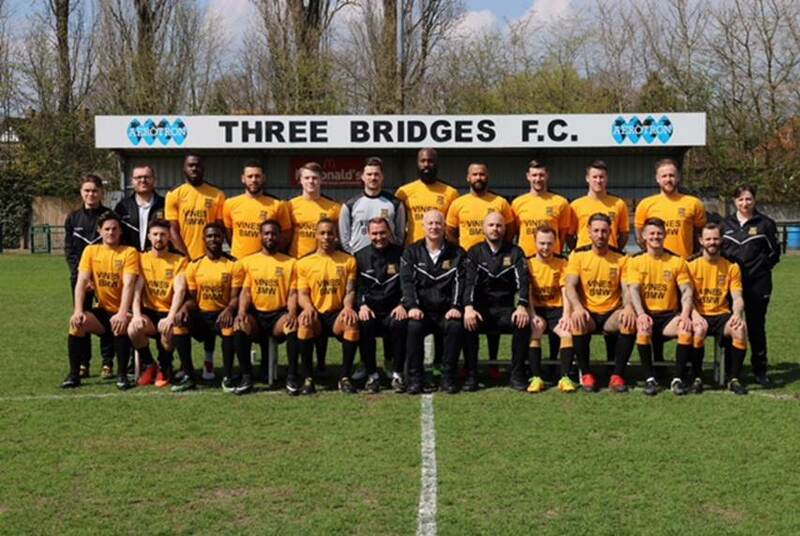 Another bad day at the office saw Bridges sink to the bottom of the table, having played four games and still without a point. It started brightly enough with chances going begging, the best a Nathan Koo-Boothe header from a corner. Then on 8 minutes Connor French was brought down in the box and awarded a penalty. He stepped up himself to take it, only to see the Faversham keeper, Simon Overland, push the ball away for a corner. However, all was not lost when, from the resulting corner, Jensen Grant put the ball in the back of the net. Minutes later French was brought down again in the box, with what seemed a more obvious penalty than the first, only to see the referee wave play on. Meanwhile Faversham relied on the long ball to the three fast-paced forwards and with this method on 20 minutes Dean Grant somehow turned in the box and scored the equaliser. A replica of that first goal for Faversham 7 minutes later allowed Jack Harris to put the visitors in front. Bridges had plenty of possession but the delivery of the final ball continually let them down. Four minutes before half time Faversham were awarded a penalty and Danny Walder stepped up to make the score 3-1 at the break. Tyrone Berry gave Bridges hope on 56 minutes after a well worked move saw him narrow the score line, but the rest of the half saw Bridges keep on giving possession away with wayward passing. Although it looked like an equaliser might arrive, it was settled when Faversham’s Dean Grant put it beyond doubt, scoring in the 88th minute to make it 4-2.